The fourth-annual Women's Leadership Symposium features 10 expert panel discussions, 5 insightful breakout sessions, and “3-in-30” presentations designed to give you 3 key takeaways in 30 minutes. 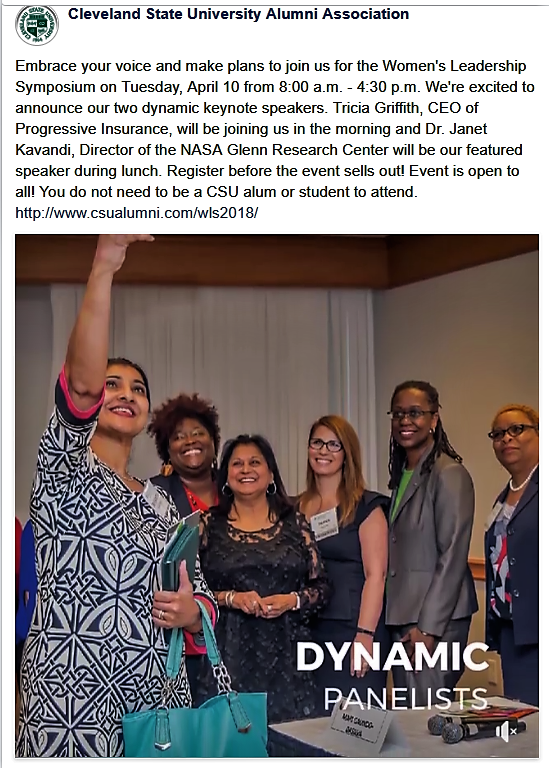 Keynotes include Tricia Griffith, CEO of Progressive Insurance and Dr. Janet Kavandi, Director of the NASA Glenn Research Center. International Women's Day: Thank You!